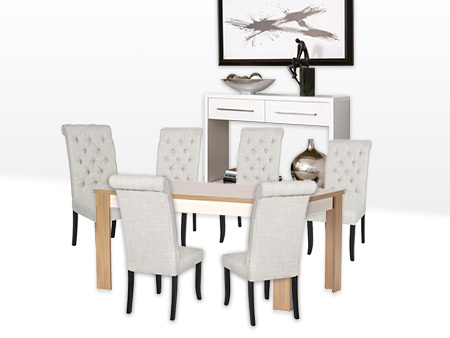 This classic Dining set is a lovely anchor for your dining room ensemble. 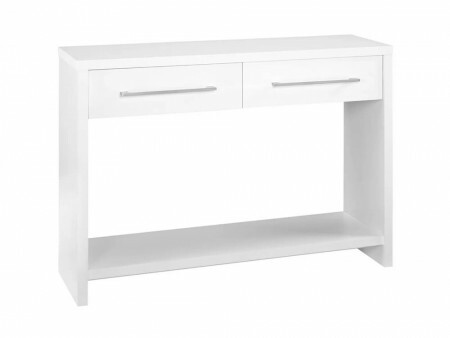 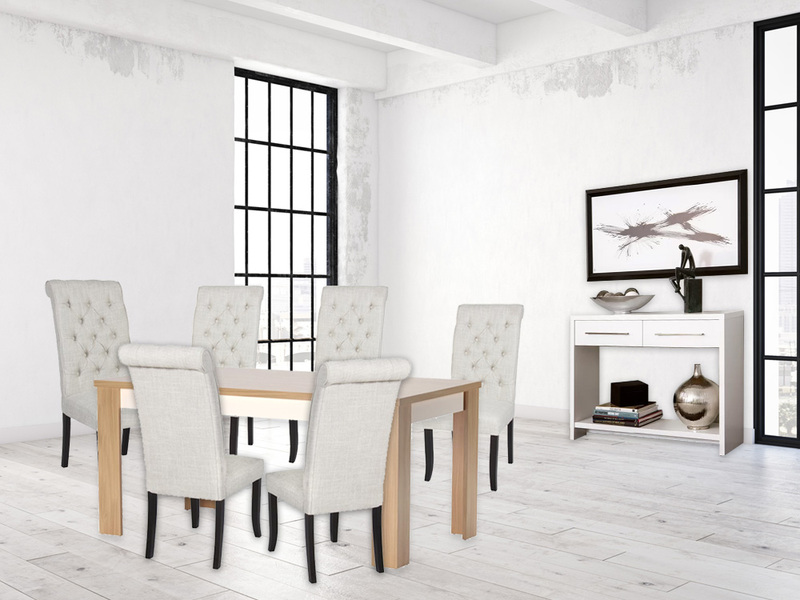 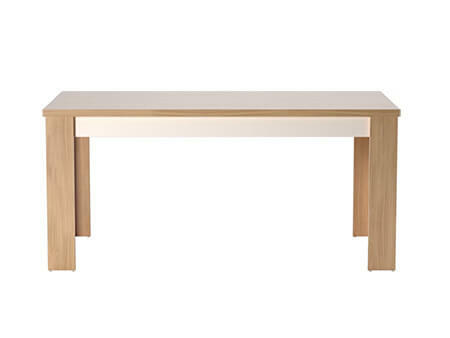 Table comes with a natural wood grain laminate table top and legs. 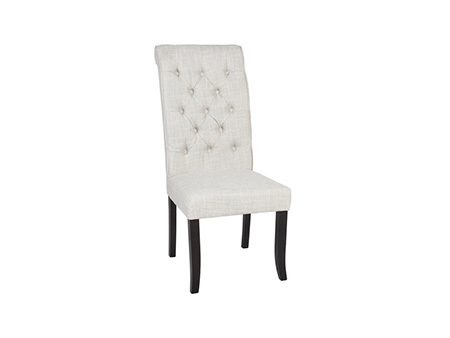 It is paired with 6 White chairs wrapped in a soft woven fabric that includes a button tufted back rest that will add sophistication and charm. 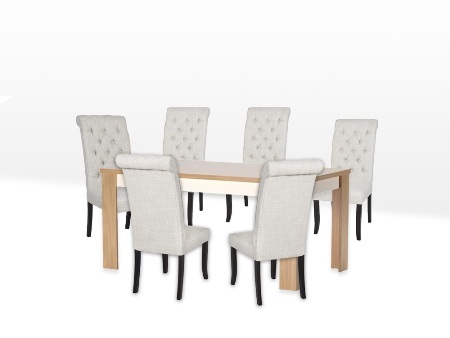 The chairs have 4 wooden legs that have a dark brown finish and provide durability. 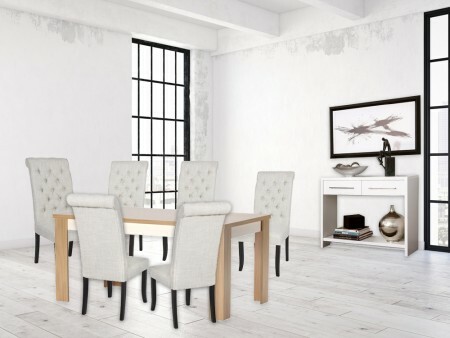 The back rest also improves comfort and support with its tall design. 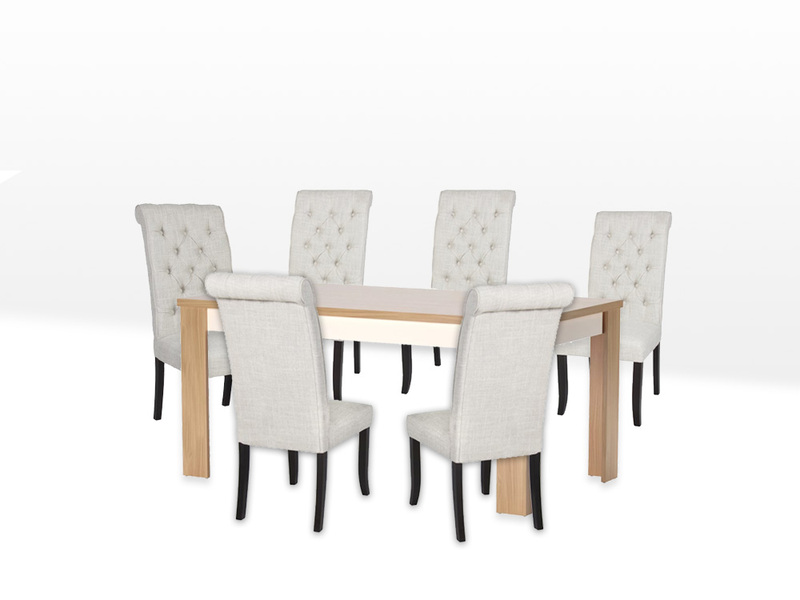 Package includes: 6 chairs and table. 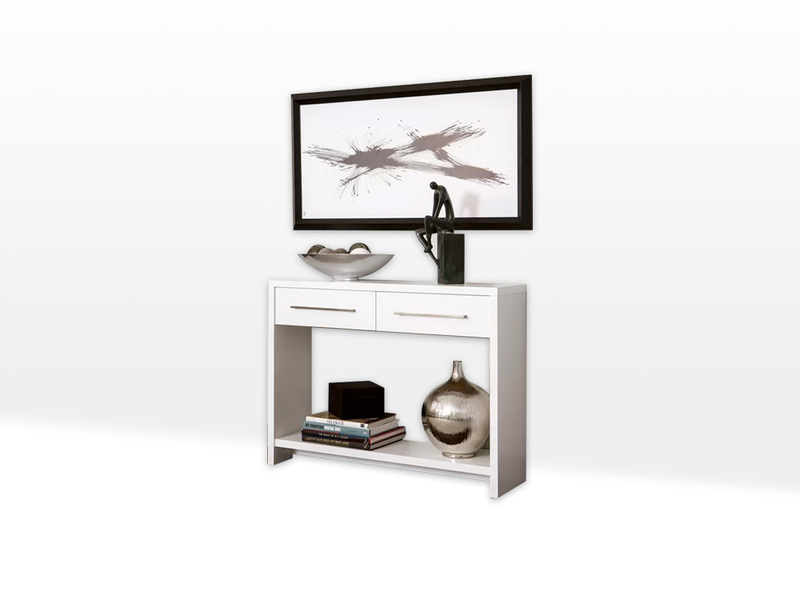 Optional items include: dresser, artwork, center piece, steel vase, and statue sculpture. Item shown in image may be upgraded to one of the following items by Inhabitr based on availability.